For those of you who may not know, February is Heart Health Awareness Month. Heart disease is the leading cause of death in the U.S.; women are at an increased risk with 1 in 3 women dying of heart disease/stroke every year. Women are so strongly affected that the American Heart Association has a brand specifically for women encouraging everyone to Go Red. Multiple factors contribute towards an increased risk of heart disease including high cholesterol, high blood pressure, smoking and genetics.. There are many ways you can help prevent heart disease. I’d like to share how you can improve your heart health as part of your work week! One of the best ways to get started on improving your heart health is by exercising! If you don’t usually exercise, maybe start with a short walk to pick up lunch or maybe you commit to taking the stairs instead of the elevator to keep moving. Also, be sure to take #5every30 and get up and walk around the office. Even these little practices can help get you started! In the future you can even get products like a treadmill desk or under-desk bike pedals to keep you moving while working. If you’re like me, you get that itch for a snack or two throughout the work day. Instead of grabbing a candy bar or chips at the vending machine, bring a fruit or vegetable with you. The same goes for beverages! Why drink extra calories by having a soda at lunch when you could drink water throughout the day which actually helps you burn calories faster! Lower cholesterol=better for your heart! Employers can provide healthy options like trail mix bags and fruit infused water to ensure employees always have healthy options. 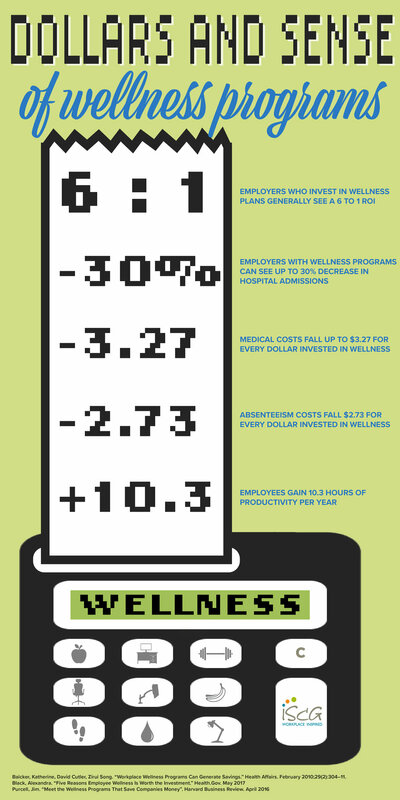 Talk to your employer about starting a wellness program to reap some of the amazing financial benefits outlined in the accompanying infographic and talk to us about getting ergonomic furniture to help facilitate those health-conscious goals. What We Are Loving This Month: Ultraviolet Everything!